Looking for birthday flowers? Get-well wishes? Our Flower Festival works overtime on just about any occasion to get your message across. 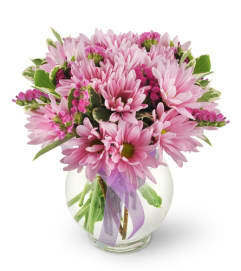 This spectacular arrangement is loaded with daisies, alstroemeria, mums, and mini-carnations and will get the job done! 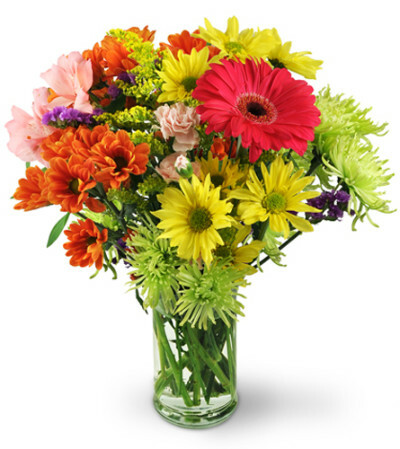 Gerbera daisies, alstroemeria, mini carnations, and a colorful variety of mums are expertly arranged with solidag and purple statice in a classic glass vase.